Today I am here to review Echo Park's Photo Freedom line. This line was inspired by Stacy Julian's approach to scrap booking "keep it simple" motto. 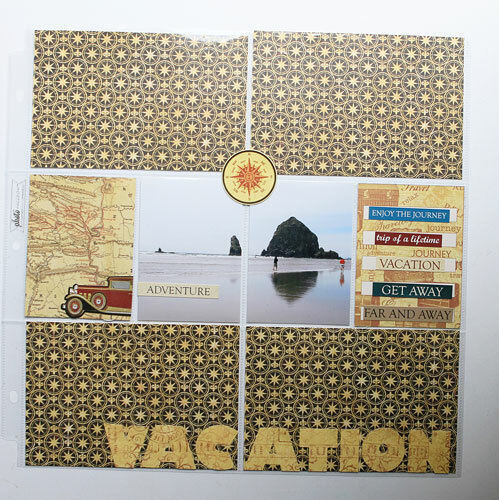 Each kit is designed to give you the tools you need to quickly combine your photos with patterned paper, stickers, and photo sleeves and create a collection of your memories. The goal is to tell memorable and meaningful stories with no design or art degree required. 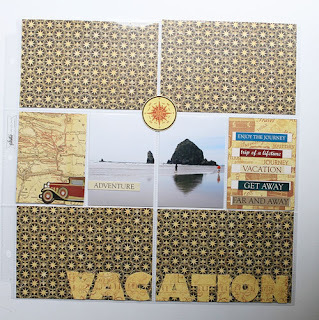 You simply cut your paper and photos to fit in pre-designed sleeves, add some embellishments and your done! 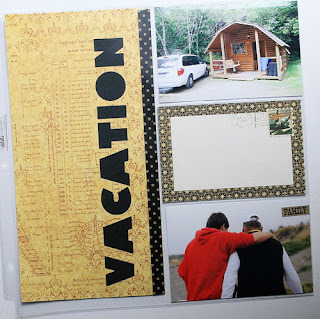 What I liked: Everyone these days seems to be doing this type of scrapbooking. It's fast, easy, and allows you to create a book full of memories without taking too much of your time out of your life. I really like these pre-designed photo pockets. It really is slick to just cut your paper/photos slip them in the pocket and be done! I like that the paper has been designed to fit in these pockets. Some paper is 12x12 designs, some are 4x6 and some 3x4. So you have a whole range of patterned paper and cards to use in the pockets as well as the larger 12x12 and 6x12 sizes. I liked the variety of sizes within the photo sleeves. What I didn't like: I like the concept a lot. I just struggled with the Graphic 45 paper. It is gorgeous but the theme was more Trans Atlantic and European which made it pretty specific to the type pictures that you would need to go with it. So that was just a personal preference. They offer other collections that would have been more my style. I made two pages using the Photo Freedom photo sleeves and pieces of patterened paper and stickers from the Graphic 45 set. Overall I liked the concept and the fact that it took less time to put two pages together. Honestly, I am not sure that it is a system that I will take up but I like that if I wanted to put together something quickly....this would be the way to go. I loved how easy it was to use and I liked that the paper came pre-designed to work with the sleeves. I wasn't crazy about the particular paper I received as it wasn't my style but I really liked the look of some of the other collections they offered. They do have something for everyone! What do you think? Have you tried this kind of scrapping before. Do you like it? Would you switch from more traditional scrapping to this or combine the two? What are your thoughts we would love to hear from you! Since my kids are grown I have not yet tried this kind of scrapping. I do think it would be wonderful for a vacation album and would love to try it! I love G45 papers, and would find uses for it for sure. I like the old time look. I have done a couple of albums this way. It's great for some occasions. I still prefer the good old fashioned way. 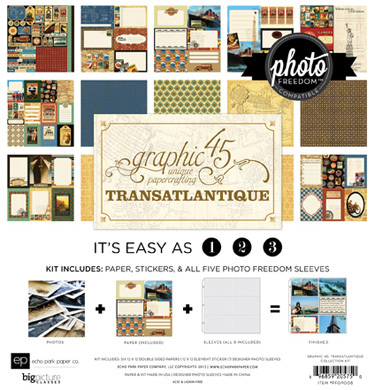 Well I am not a huge fan of Graphics 45, they have really interesting paper, but I don't know how to use it. I do like the photo freedom, and I think it is great for vacations and mini albums. I began PL which is similar, but I don't follow any order. I just make the pages the way that I want when I want. It's just a different style of scrapping to me. I am not bound by keeping up with it year in and year out. I just add in the pages to my traditional scrapbook.